Which Flooring Types Are Easiest to Keep Clean? This time of year in Florida can really do a number on your floors. The grass starts to dry up and the leaves and berries start to fall from the trees. Depending on your flooring type, you could end up having to sweep everyday just to keep your floors looking clean! If you are selecting new floors, knowing the following about flooring options and cleanliness could help you to save time and frustration. 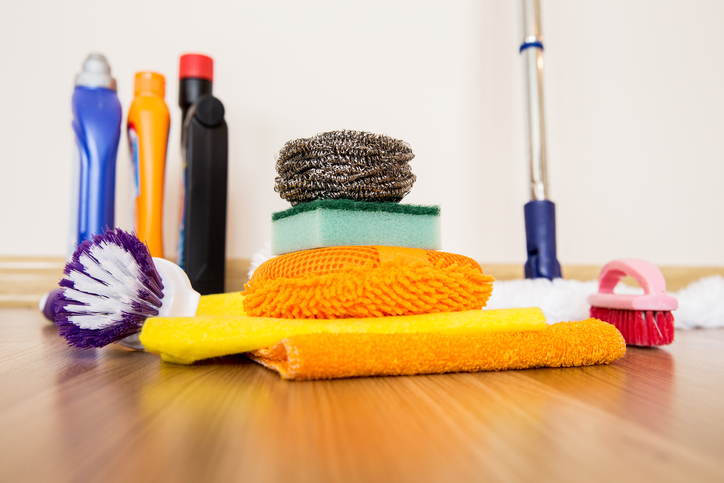 Linoleum and sheet vinyl have no grout lines to trap dirt and debris, so they can be cleaned quickly with a damp mop, Swiffer, or even a washcloth. While some prefer dark floors and others prefer light floors because of perceptions that one will appear cleaner than the other, patterns actually tend to provide the best coverage. Of course, you will still need to clean the floors regularly regardless of the pattern. Hardwood floors can be easy to keep clean, as long as they have been properly maintained. If there are no deep groves in the floors and they have been waxed or finished regularly, you can clean up messes easily with a dust mop. The whorls and patterning in hardwood floors may also help to prevent dirt and debris from immediately showing. Glazed tiles will not allow dirt or spills to penetrate into the flooring, so it is easy to wipe messes from the surface. Unfortunately, grout lines can still trap dirt and liquid. Going with oversized tiles can help you to minimize the amount of grout scrubbing that is required to get the floors clean, while allowing you to enjoy the look of the tile. As with other flooring types, patterns will mask dirt and debris best. Carpet is not known for being easy to clean, but any carpet with a pattern will not look dirty immediately, which may be desirable. Nylon and synthetic fiber carpets that are made for high traffic areas will also come clean relatively easily with a vacuum. Using a carpet cleaner for spot cleaning periodically can help to keep carpets even cleaner. Carpet tiles may also be a favorable option. Carpet tiles can be mixed and matched to décor and purchased with regard to the amount of traffic that will move through the area. Most are made with short fibers that are easy to clean with a vacuum. If carpet tiles begin to look worn, it is also easy to replace a few. If you wish to replace your existing flooring with something that is easier to clean, stop by Flooring HQ and talk to one of our flooring experts today!